[FARWELL], Marey, d[aughter]. 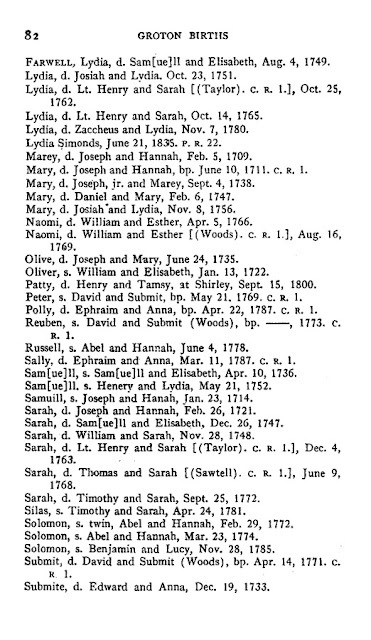 Joseph and Hannah, Feb. 5, 1709. [FARWELL], Mary, d[aughter] Joseph and Hannah, bp. June 10, 1711. C.R. 1. Vital Records of Groton, Massachusetts to the End of the Year 1849 (Salem, Mass. : The Essex Institute, 1926-1927), Two volumes, Volume 1, Births, page 82, Mary Farwell birth entry. 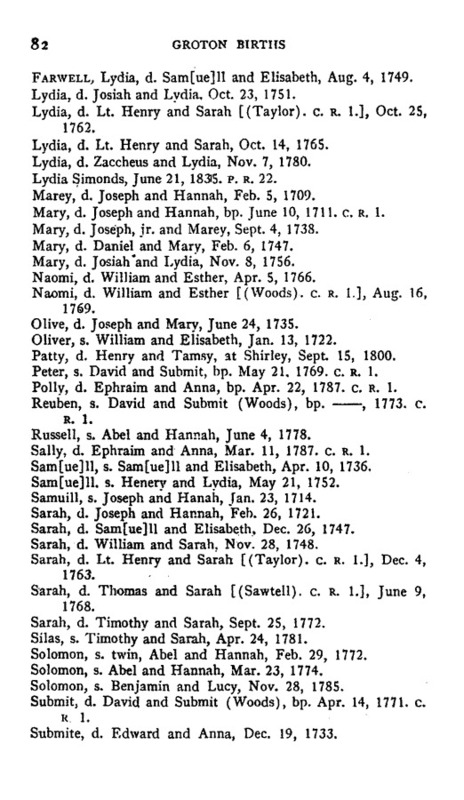 Mary Farwell (1709-1804) was the 6th of 10 children of Joseph and Hannah (Colburn) Farwell of Groton, Massachusetts. 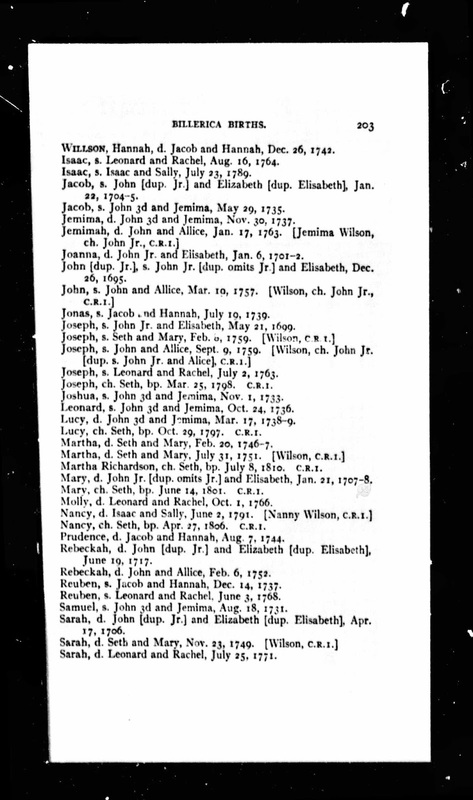 She married James Stone (1702-1783) in 1726 in Groton, and they had ten children between 1727 and 1750, all born in Groton. 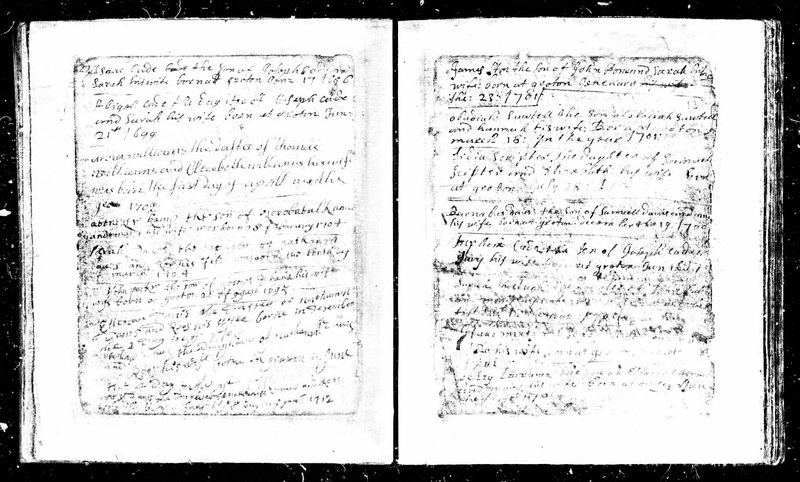 James was the son of John Stone (1658-1735) and Sarah Nutting (1663-????) of Groton, Massachusetts.